Did anyone watch this launch? Is this still as exciting as it used to be? If not, why has it lost the excitement? I went to see the First Launch...many moons ago. It's VERY Exciting to actually SEE It, I was as close as they allow the public..3 miles away on Daytona Beach! I have to agree with spawn: they dont anounce it a lot. All I know is that it has been delayed due to a problem but I dont even if they lauched it yet. Thats how bad they announce it lol. discovery didnt blow up, or are you ahead of the news? Discovery is up there now. Actually, until one of my friends asked, I didn't even know that we had a launch lol. I don't think I've really watched anything since John Glenn was aboard the Discovery (well, excluding the *last* fiasco). My older brother always wanted to be an astronautic and go into space, until he saw the Challenger go up one last time. It's part of real life, but in my real life there are more important things than a launch. The first hint that Discovery hadn't blown up was the title of this thread. I still find these launches amazing. The power it takes to get all that weight up into space is staggering. I get all excited and watch the launches every time my work schedule allows. I would go up tomorrow if they had an open seat for me. Space and its science is an incredibly important factor to the Human kind, and personally i believe everyone should care about matters that has to do with space technology and science. All of our answers lie somewhere out there. The most precious gift USA has even given the world is NASA. Without NASA we wouldn`t have the earth surveillance system (Which increased our knownledge about planet earth a 100% the first 5 years), and we wouldn`t have the Hubble telescope (the most powerful telescope known to man) just to mention a few. 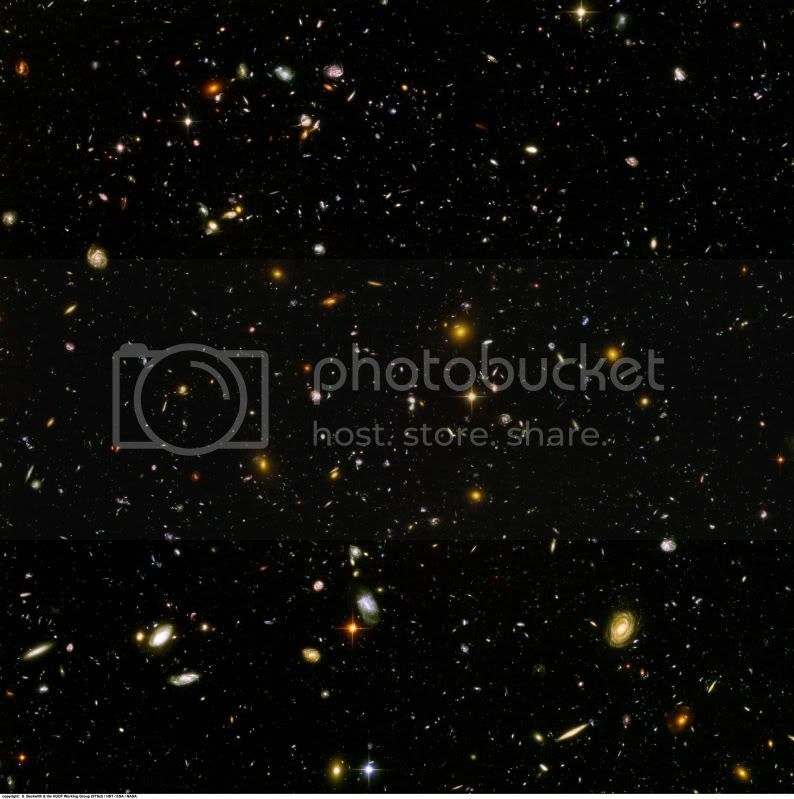 September 24, 2003 through January 16, 2004, the Hubble telescope captured an image of space called the "Ultra Deep Field". It is the deepest image of the universe ever taken in visible light, looking back approximately 13 billion years. It is currently being used to search for galaxies that existed between 400 and 800 million years after the Big Bang. Presenting the "Ultra Deep Field"